As I'm sure you've all seen, homework has been in the news. The teacher from Texas sent a letter home to her parents, someone posted it, and it went viral. There has been more publicity with homework because of this, but I have struggled with it for a while. As the RtI coordinator in our building, had a teacher refer a student for academic difficulties, but blamed the issue entirely on incomplete homework. Really? Should homework hold that much power? 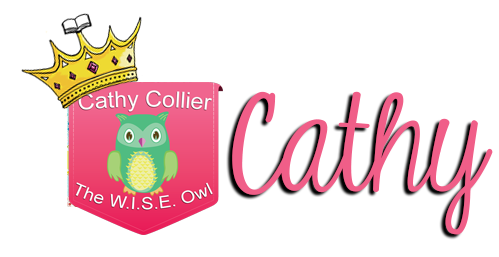 Hi, it's Cathy from The W.I.S.E Owl sharing some ideas on Word Study...and making it new again. In the fall of 2005 I transferred to a school that was one year into Word Study training, so that year was a trial by fire. I learned the basics of the assessing, grouping, instructing, sorting, and assessing. The routines were set and the cycle continued. I felt pretty good about what I was doing. As the years past, I added and deleted activities and routines as I thought I should. I’ve taken classes here and there and was comfortable. This summer I decided I needed to take an “official” class to update what I know. I also wanted some credibility with the staff at my new school. If I’m the one doing training, I wanted them to have confidence in me. Feeling pretty good about myself and thinking I’d just sit back and take the class, I found myself taking page after page of notes. All of the information wasn’t new, but some was a new way of thinking. I did have an earth-shattering (almost) a-ha. I'll post it at the end...stay tuned. I was excited about word study all over again. Here are some of my notes. It is important to make sure students are given explicit and meaningful introductions to the sort. Each word in the sort should be described and discussed carefully. The headers should be used, not only, as the title of the column, but as a point of reference for the generalization. Each picture or word should be matched to the header. As the words are added to the columns, they are described as to why they belong in the column. It’s not enough to say, “camp belongs on this column because it ends like stump.” We need to make sure students are using the words to explain the generalization EACH time. “The picture “lip” belongs in the “ip” column because I hear a short i in “lip.” Students need to be able to explain the generalization as they sort. The practice activities MUST enhance the feature. If they don’t, don’t do it! Word triangles, pyramids, or steps don’t teach the feature. They don’t explain the generalization. Create meaningful ways to practice the sorting. 1. Labeling the sort cards is a valuable experience. Students need to see the cvc, cvcc, or cvce codes when they sort, so the generalization is more concrete. 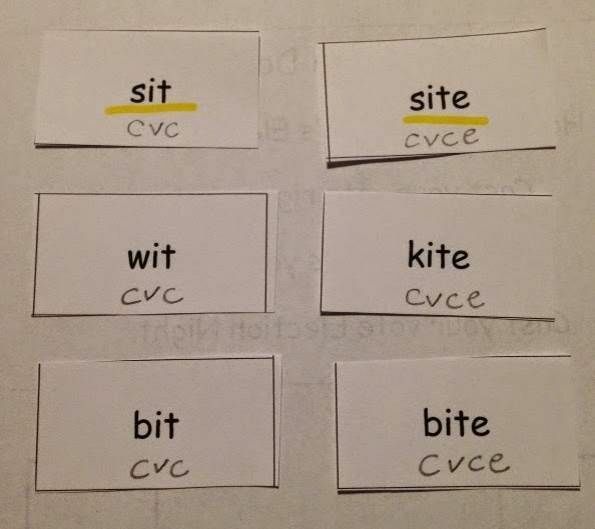 When students need to add endings to words, learning that most cvc words double the final consonant before adding the ending students will be able to spot a cvc word without much effort. Labeling is a stairstep skill. 2. Word Hunts - Another meaningful practice is the word hunt. Students can use their independent books, words in the room, or poetry folder to find words that match the feature they are studying. If their feature is a short a sort, finding short a words in their environment is important to making connections. As they find words, they should label with cvc. When they share their word hunts, students should be asked to explain the generalization to prove their case. Word Hunts are more effective if they are discussed and not just checked. Homework is another area where word study needs to be updated. Teachers have fallen into a rut of sorts. Monday – write your words. Tuesday – triangle words (UGH). Wednesday – rainbow words (double UGH). Thursday – practice test. Don’t forget the new rule: If it doesn’t ENHANCE the feature, don’t do it! This also applies to homework. Without using, “It’s easier on the parents” or “But the parents don’t know what to do” as an excuse…it’s about the student and it’s about the feature. There are great ways to practice the sorts that can enhance the feature. 1. Magic boxes are a great way to show the similar short vowel feature. Students fill in the magic boxes with crossing vowels. Vowels can be written with marker and pictures can be illustrated to show meaning. 2. SAW – After Feature A students can use the SAW to practice. Students SORT, ALPHABETIZE, AND WRITE. Students should sort their cards. Alphabetize each column individually. Then, write the columns alphabetically. Highlighting the features of the words in each list is mandatory. 3. 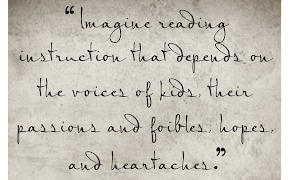 Sentence Triple Threat – This is not the usual “Write a sentence” activity. This activity requires students divide their list into thirds and write three types of sentences. One-third of the words need to be written as a declarative sentence. One-third of the words need to be written as a question. One-third of the words need to be written as an exclamatory sentence. Students should make sure to highlight the feature. Of course, assessments are crucial. We have to know what the students know and what they don’t know to be able to move them forward. One of the biggest shifts in thinking is the difference between teaching in learning. Teachers need to know if the students understand the features and are able to transfer their understanding to their own writing. 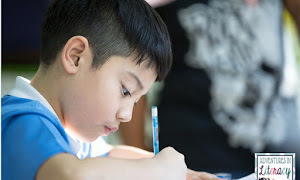 Frustrated teachers will come to me saying, “They know it on the test, but they aren’t using it in their writing.” Well, I take a deep breath and ask, “If they aren’t using it they don’t know it.” The teachers need to make the distinction between what they have “taught” and what the students have learned. 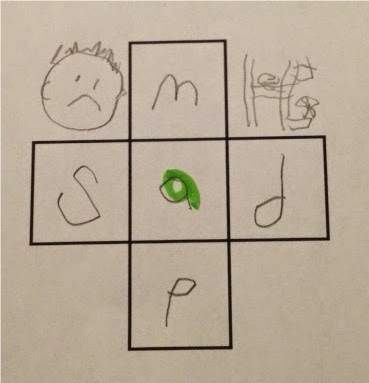 One way to make sure the students are applying their knowledge is to have one word that demonstrates the feature on the test that the students have not practiced. The easiest way to do this is by cutting off the bottom row on the sort and saving it for the test. With good practice and homework, students should be able to recognize the feature and sort it appropriately on the test. Another shift in thinking is about the score the students get on a test. Students should always get a 100% (or very close) on the test.) If they don’t, they don’t know it and they haven’t generalized it. Sooooo…Do it again. Yep, do the same generalization with different words. If everyone in the group makes a 100% except one child, then that child will need a review and a retest while the group moves on. The bottom line is: it doesn’t matter what you teach…it only matters what they learn. By the way, here's my EARTH-SHATTERING change in thinking. 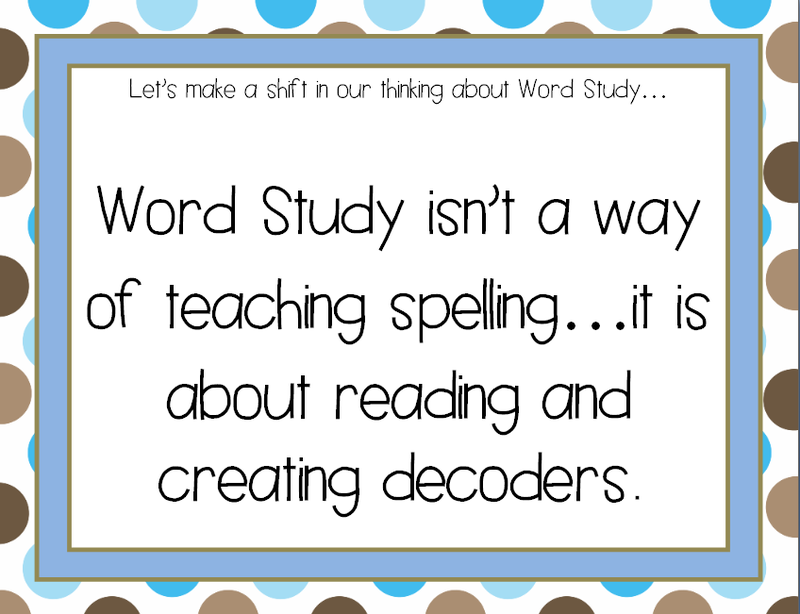 Yep, I was in the awful habit of interchanging the terms "word study" and "spelling." I am so so glad I took that class last summer...and I'm not afraid to say it. I hope you have something new to try in your word study. If you do, let me know how it works. Click here if you’d like a Classwork/Homework Idea Sheet. Click here if you'd like a Magic Squares Worksheet. 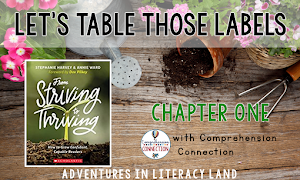 Good Day, Literacy Land Followers! I'm Deniece from This Little Piggy Reads. Today's topic is a HOT one! Did you cringe or smile? 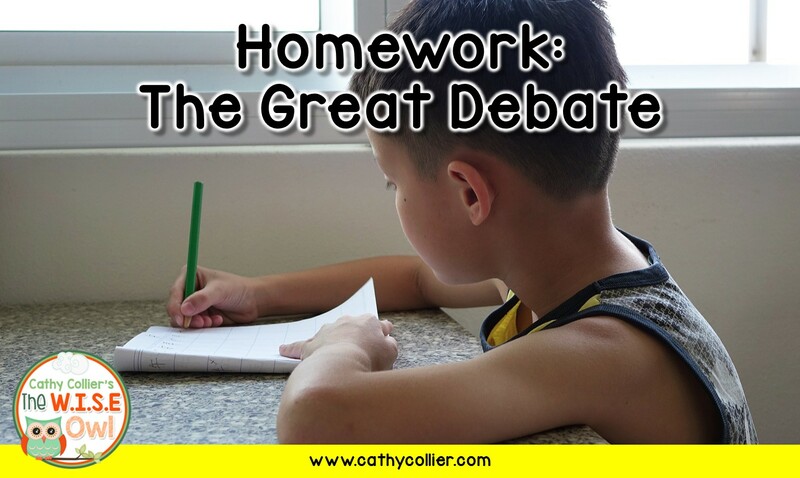 Teachers have definite opinions on homework - some assign homework every night and some see it as a chore. So, here are my 2 cents. Personally, I'm not a fan of homework. I prefer to spend my evenings not grading. All that said, at my school it is an expectation to send homework (no more than 30 mins. per subject per night). I prefer to send a homework packet on Monday that is due on Friday. Here is what I put inside my packet. Cover Page - spelling words, homework schedule, notes at the bottom. On the inside, I include my Spelling Homework Choice Boards. I also include a Reading Log. I also include a differentiated fluency passage from our state adoption. There is usually a short vocabulary worksheet. If it's testing season, I include a testing style passage that students must use their strategies on. My packets are due on Friday. During bell work, my students put their packets on the corner of their desk, I stamp and collect the packet. If their spelling choice board is complete, I put a ticket on their desk. Then, right before our spelling test, I draw 1 ticket out of the hat and that person gets an automatic 100! The winner goes to my classroom library and reads while I'm giving the test. I go through and quickly call the parents of students who didn't turn in their homework packets. This is an expectation from our administration. Then, I grade while students are testing and return their packets the same day they turned them in. How do you do homework in your classroom?